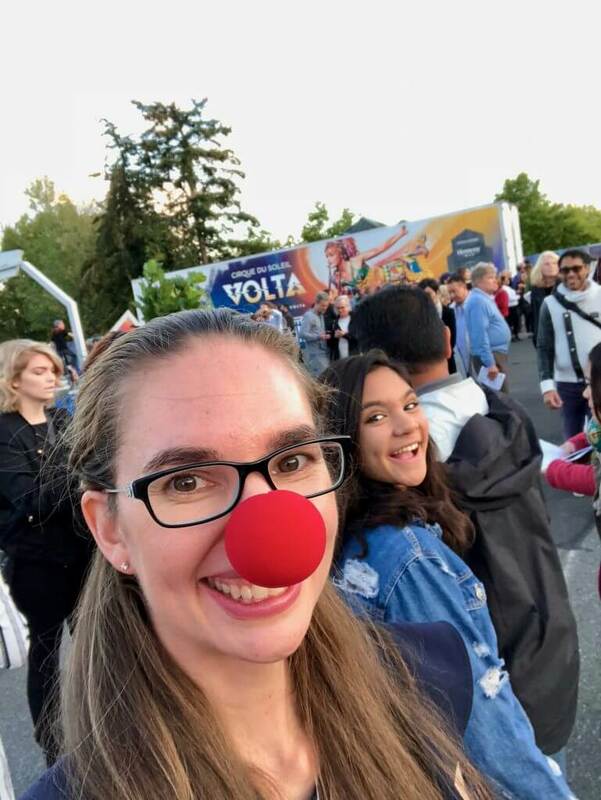 Can you believe that up until last year, I had NEVER been to a Cirque du Soleil show? That’s crazy since they have done 15 shows here in Seattle since 1990! I was invited to opening night of LUZIA last year and it blew my mind! So, when they reached out again to invite me to VOLTA, I didn’t even blink before confirming we’d be there! While I started my blog with the sole purpose to help other families get out and explore the world around them, I’ve been fortunate to be invited to some amazing events. The Cirque du Soleil Seattle opening night parties have been at the top of my list of cool experiences! This year, I was lucky enough to get 4 tickets! While I normally would have brought my kids, this is the first week of preschool and both kiddos were pretty wiped. Fortunately, our neighbors were able to join us for a kid-free Tuesday double date night! When we arrived, we were greeted by costumed characters doing circus acts. We stopped for a quick photo with a performer on a really tall unicycle! Then, they opened up the Big Top at Marymoor Park and we got to go into the massive tent! I appreciated how warm it was inside! This Seattle fall air is starting to get a bit chilly at night! You know, I can’t pass up a good photo op! 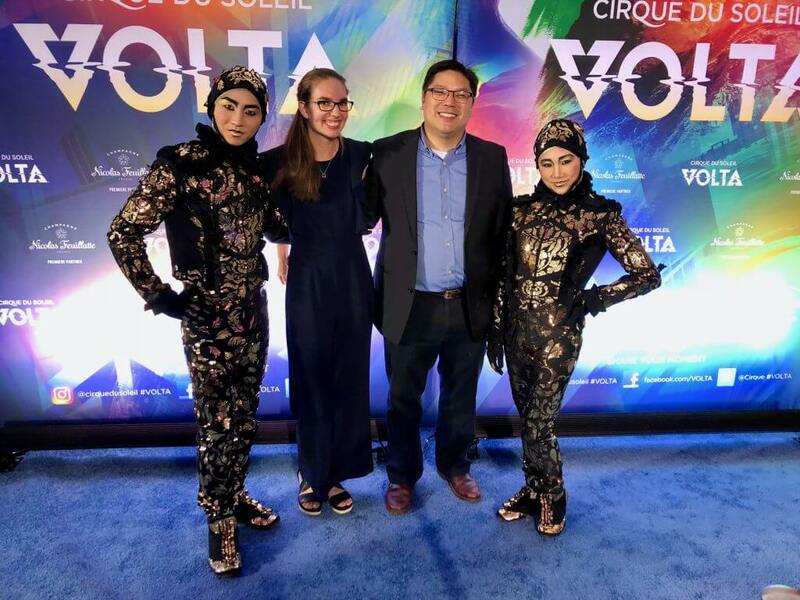 We got to pose with some Cirque du Soleil performers, which was awesome! 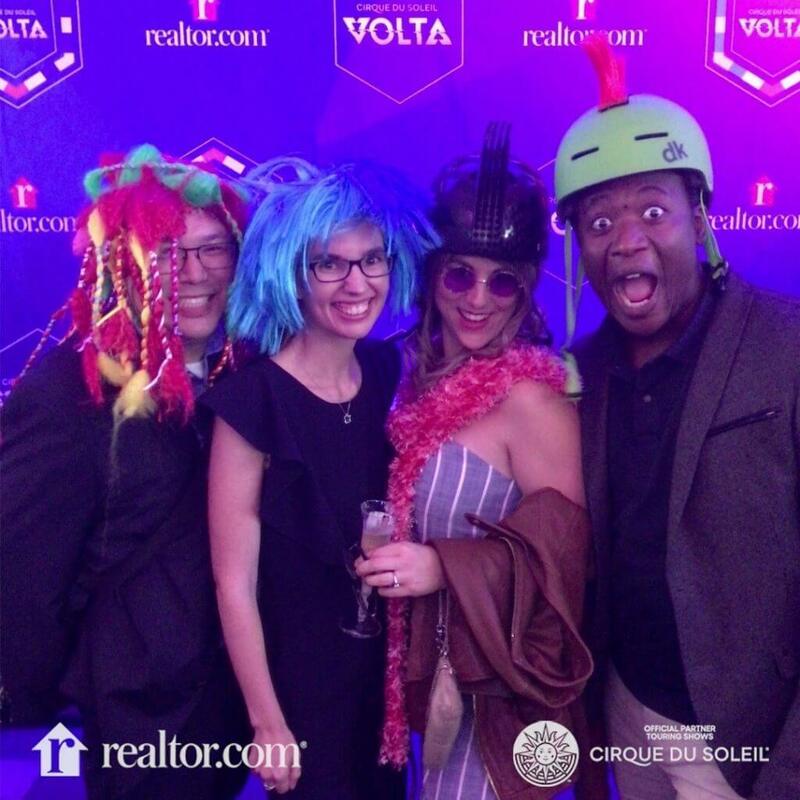 We got into the Cirque du Soleil spirit with this fun photo booth! And they also had a photo booth where we could try on fun helmets and wigs! Such a fun way to get into the spirit! 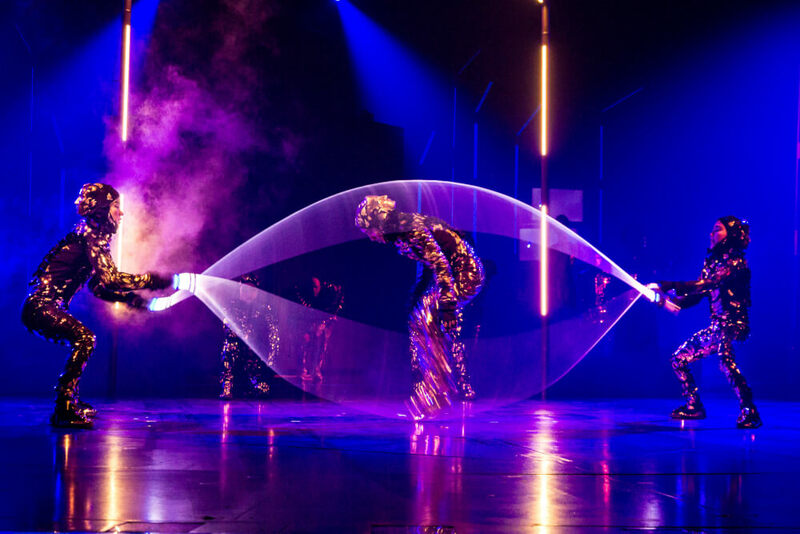 But, the coolest thing I did at the Opening Night of VOLTA was try Dragon’s Breath! It’s basically fruit flavored puffs in liquid nitrogen. It’s a fun experiential treat! Ok, now for the show itself. 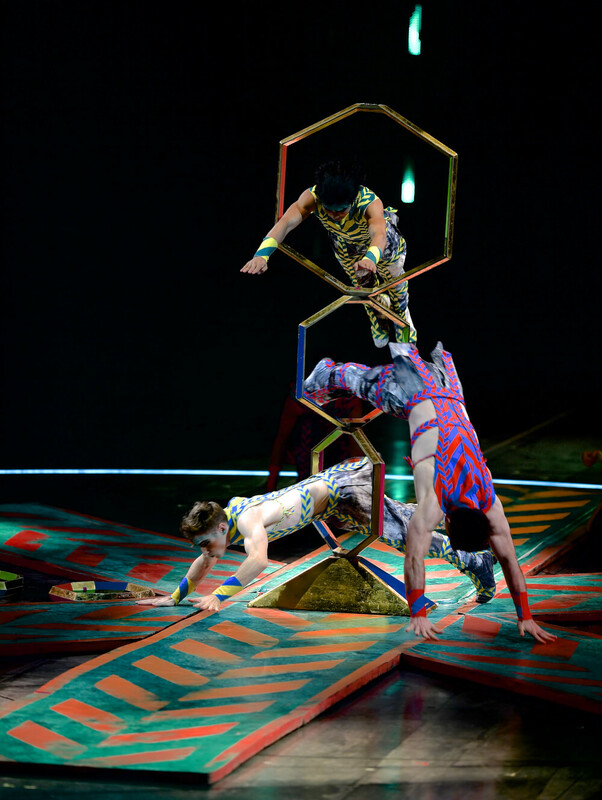 I never really get the plot of Cirque du Soleil shows, but I usually understand the vibe. 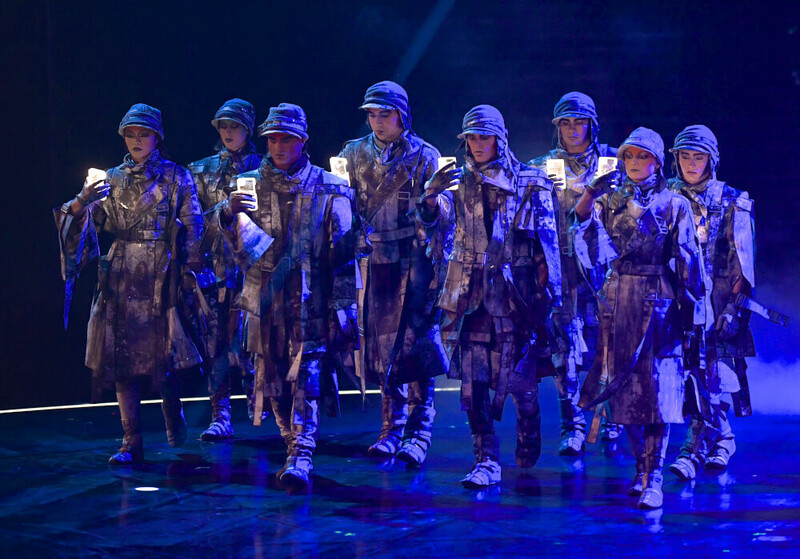 From what we gathered, the show is basically about choosing your own freedom by breaking away from conformity. There are some military-like characters who are glued to their phones marching around. As a contrast, the mysterious and colorful character wearing roller skates is the epitome of a free spirit! 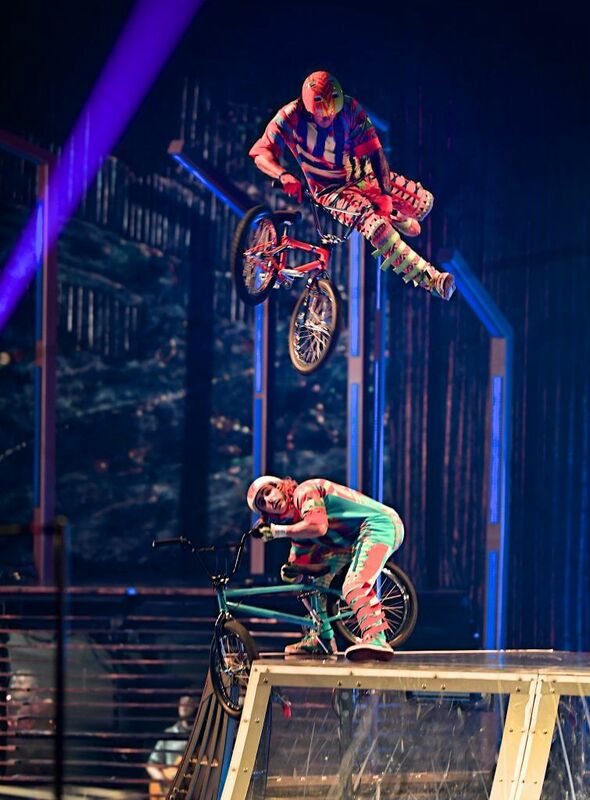 VOLTA focuses mostly on high-adrenaline street sports and athleticism rather than dancing or contortions. This performer is lifted in the air by her HAIR! Photo credit: Benoit Z. The costumes are pretty eye-catching. They were designed by Zaldy Goco, who is famous for his work with Lady Gaga, Michael Jackson, Britney Spears, Gwen Stefani and for the TV show RuPaul’s Drag Race. And the soundtrack is electronic music created by international composer and musical director Anthony Gonzalez, from renowned group M83. It’s so catchy that our neighbor kept humming the song as we walked to our car! Washing Machine. As a Mom, I was skeptical on how doing laundry would be entertaining. This one-man show was hilarious and his delivery was spot on! Easily the funniest thing I’ve seen on stage all year! Trampolines. Performers jumped off a building onto 2 different trampolines as the stage spins! I could feel the energy from each bounce! Motocross. The finale is a huge bicycle show with lots of ramps. The performers were so in sync and my heart raced as they looked like they might crash into each other! 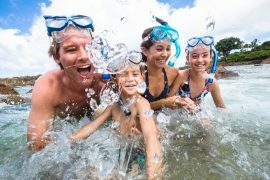 Should You Bring the Kids? With this being a couple days into Back to School at our house, I decided not to bring my 4.5 year old and almost 2 year old to this evening performance of VOLTA. But, when the show started, I realized just how much my kids (especially my preschooler) would have LOVED this experience! There were actually a lot of kids at the show (from babies and toddlers to tweens and teens.) My husband and I kept our eyes on them to see how they reacted and they all seemed to be mesmerized! I noticed some of the younger kids started nodding off after intermission, but it was 9:30pm at that point and totally understandable. Not a bad seat in the house. Every seat seems to have an awesome view of the stage. Plus, they have seat cushions for younger kids to boost them up a bit. Circus food options. 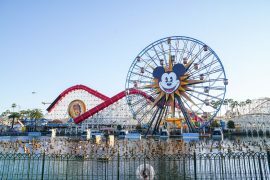 With popcorn, hot dogs, nachos, pretzels, cotton candy and more, you’ll feel like you’re at a circus in the best way possible! No loud noises. If your kids don’t like jarring/surprising noises, this is a great show for them! The music is loud, but it’s melodic and continuous. And there aren’t any explosions or anything. Their gift shop is awesome! Yes, they have cool t-shirts. But, they also have unique character dolls, light up balls, and so many fun things for kids! Your kids might want to join the circus after! 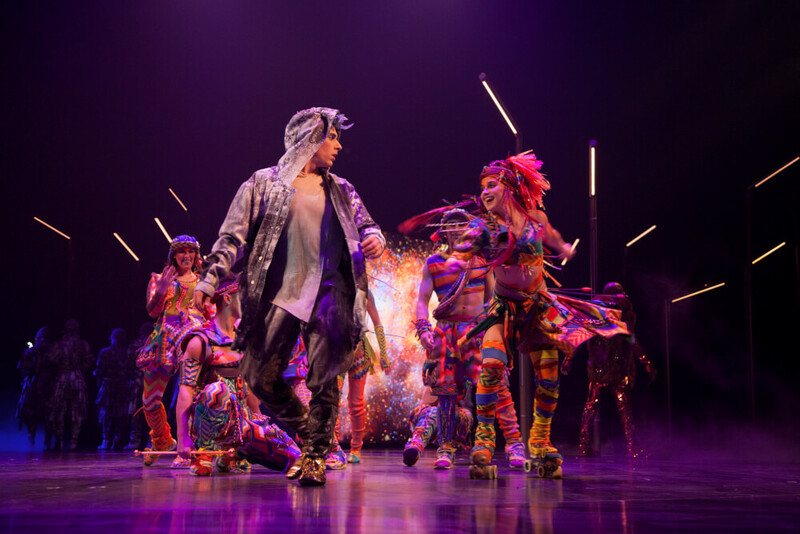 The whole show is so impressive that your fall activity may include gymnastic lessons or classes at Emerald City Trapeze or the School of Acrobatics and New Circus Arts in Seattle! Tickets are available by visiting cirquedusoleil.com/volta or calling 1-877-9CIRQUE (1-877-924-7783). Tickets are available starting at $39 and the show runs at Marymoor Park in Redmond, WA until November 4th, 2018. We received press tickets. All opinions are my own. How Kid-Friendly is the Seattle MoPOP Museum?